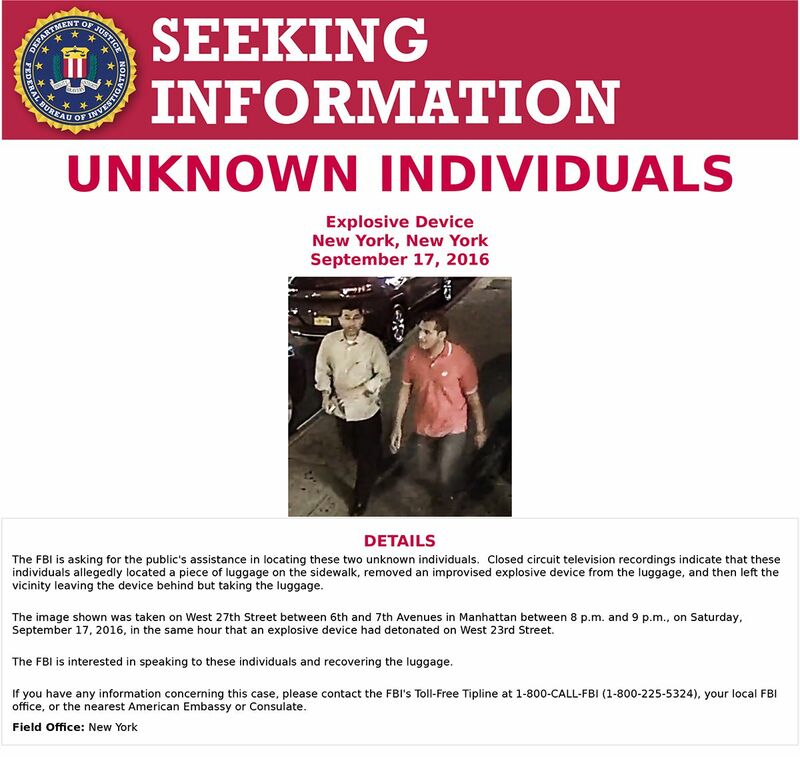 CHELSEA, Manhattan (WABC) -- The FBI has released a new photo of the men they are looking for who walked away with the bag which had contained the 27th street pressure cooker bomb last Saturday. Investigators released a poster Tuesday showing a still image of the two men walking down the sidewalk. The device, which was found wrapped in a plastic bag by a neighbor, did not detonate. 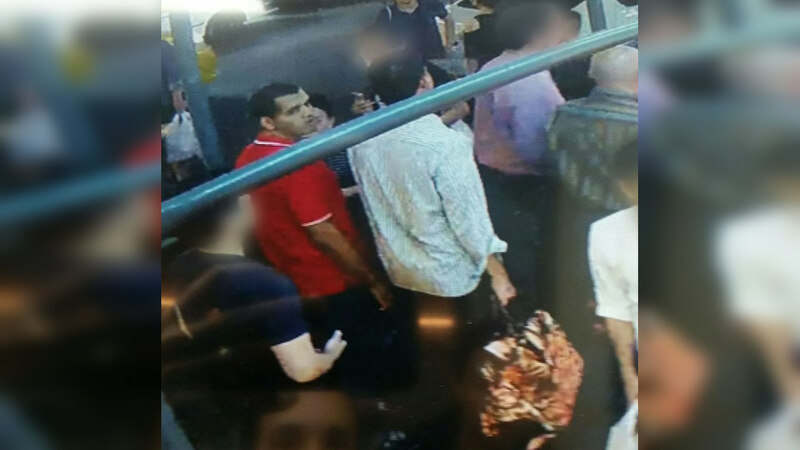 Investigators only wish to speak with these men and recover the luggage that they took.